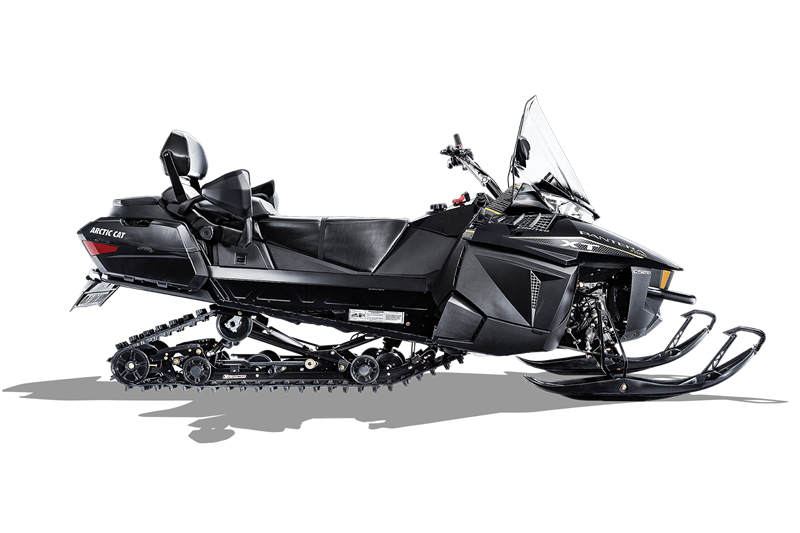 This articulating system allows the rear of the suspension to move up and down as you ride across rougher snow, making your machine more maneuverable and more versatile. Backing up in the unlocked position allows the rear of the frame to lever up, rather than dig into the snow. For more traction, just lock the skid and you’ll have a straight-rail suspension that takes full advantage of the track. The Bear Claw’s cupped lug design delivers superior handling, acceleration and braking in loose snow conditions. Its traction teeth add extra grip on hard-packed surfaces. The 1.375-in. paddles provide that extra traction needed when you find yourself blazing your own path. 10″ at their widest, tapering to 8″. The tipped-up design allows you to run on deep snow without trenching. Whether you’re working or touring, these skis provide effortless stability on and off the trail. Just like the shifter in your car. What could be more convenient for shifting into reverse? The extra-high windshield tames the wind out in the great white open while allowing a clear view of what’s ahead. Want to shift your weight? This puts the extra leverage you need right in your hands.